But yeah, it’s finally here, the game that shows us where it all begins in Metal Gear Solid 5. 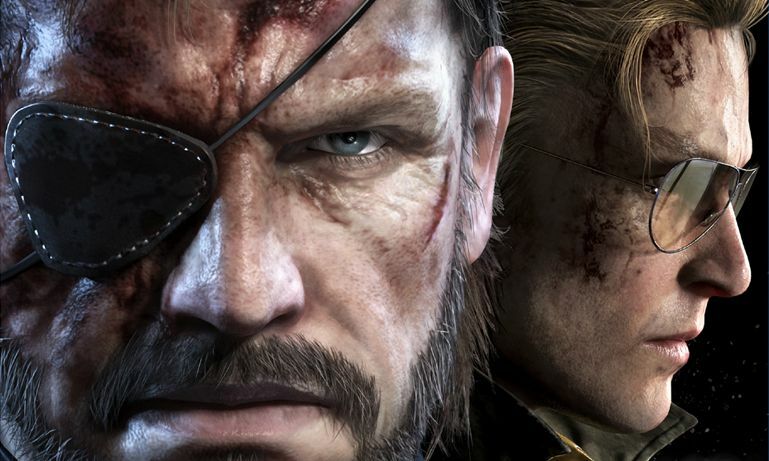 This is “Ground Zeroes,” and this is our review. While the main mission only takes an hour or two to complete (it really depends on how you do it,) this introduction to the events of MGS 5 is quite impressive. Once the main mission has been beaten, the confusion between the two Metal Gear Solid games (Ground Zeroes and The Phantom Pain) finally ends, putting us in an ‘Aaaah’ moment. It is highly recommended to be familiar with what happened prior to the events of Ground Zeroes in order to enjoy this game to the fullest. It does offer a “backstory” to read as an option in the main menu, which further emphasizes the importance of that. If you’re not looking forward to read all that, we have prepared a quick video that takes us through some MGS history and quick briefs of some important characters from Metal Gear Solid: Peace Walker, only in Arabic unfortunately. 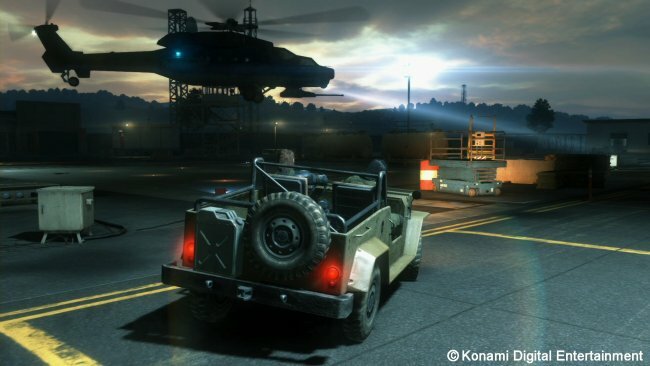 As usual, the new Metal Gear is introduced along with a new gameplay style. You run, jump to cover, mark enemies, and have quick reflexes to spot, aim, and kill/tranquilize enemies that have found you. A lot of action has been included into Ground Zeroes, while still clinging onto the stealth factor of Metal Gear Solid. Snake can now drive vehicles! I am not quite sure if snake is bad at it, or I should just stick to running. Regardless, it’s a nice thing to actually have many options as in how to reach your goal. Operating a tank has been a fun thing to experience. It only took 5 seconds to turn Ground Zeroes into Battlefield. I personally like how the guards act when Snake’s been spotted. It all feels so real, how they gather up at Snake’s last seen location and then spread out and patrol the area. Furthermore, we did witness some glitches in the game, but they are nothing to worry about as they are nowhere near game-breaking. It is worth mentioning that the side missions are pretty entertaining and really worth playing. I’ve personally never enjoyed playing any kinda mission more than once, but this is something different. With highscores, ranks, and many many different ways to complete a mission, the game urges you to keep on playing. The gameplay is spectacular, and if you’re not really concerned about the value of the game (to be discussed later) then you’re in for a massive experience. I finally played a game that actually feels AND looks next-gen. It can easily be mistaken for a movie (the grandpa effect), no kiddin! The new FOX Engine sure does show an enormous improvement to the visuals. The attention to small details left me speechless. From those tiny dust particles to the air brushing through Snake’s hair, even the shadow of the chopper’s rotor blades got me stunned. I must say, while the flare and lighting effects look pretty awesome, those effects felt a bit “over” at times, specifically in the cut-scenes. Speaking of which, those cut-scenes were but astonishing. “No..” was my first reaction to the new voice of snake. It is really hard to hear that “kept you waiting, huh?” line without that Hayter-grunt that we’re used to. After discussing this with ‘WaSaBe’, I’ve finally realized that this can actually turn out to serve the game quite well. Overall, the voice acting in Ground Zeroes is just movie-like. Sound effects add a great deal to the game as well. It’s been done so well, that it gives you this great awareness of your surroundings. Although I still don’t understand how those mic-equipped binoculars can receive sounds when zoomed onto a very far object, but what the heck, right? Well, $29.99 for one chapter of the game, and a handful of side missions is kind of weird, is it not? I can understand why the game is so short, but what I can’t understand is the price tag. A downloadable version only and a much much more reasonable price ($15, maybe?) would have made much more sense. Kojima had stated before that The Phantom Pain will be almost 200 times bigger than Ground Zeroes, so why is it that the latter is only around half the price of the full game given it’s not even 1% the size of it? We have seen a lot of those $100 worth of DLCs from different developers/publishers, but this… this is a new one. I can only hope for price cuts in the near future, as this might hold up gamers from trying Ground Zeroes, and thus missing out on its story. Ah, with that out of the way, I can finally say yes, snake… You kept us waiting, and now we are certainly gonna be waiting for The Phantom Pain. Oh dear god no, I meant the game!